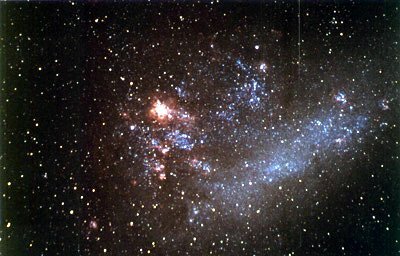 Another photo of The Large Magellanic Cloud. This one was taken by using a Tele Vue Pronto, piggy backed on the C14. Photo by James Kelly of the USA using Kodak Royal Gold 1000 and a 30 minute exposure.